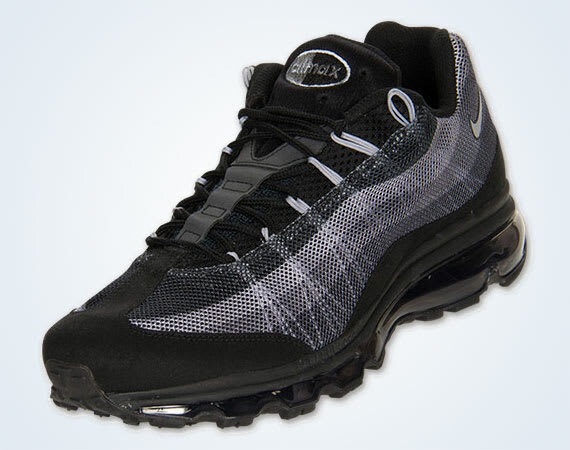 Nike&apos;s Dynamic Flywire option of the Air Max 95 has just been let loose in a new dark colorway. The Max upgrade features the accustomed gradient technique alongside, as surrounding touches of black complement the grey hits on the side. Of course, a full-length Max Air unit cushions underneath, as you can cop this set today through your local Finish Line for $180.